nce hands-on learning as they care for patients of all ages. 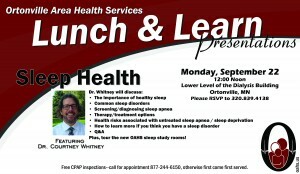 Ortonville Area Health Services welcomes Grant Botker, M.D. who j oins our professional staff of practitioners. Dr. Botker will begin seeing patients at Northside Medical Clinic in September 2014. Ortonville Area Health Services is pleased to announce the addition of Tabitha Radermacher, M.Ac, L.Ac to our organization. Tabitha will be providing Acupuncture Services. Tabitha Radermacher, M.Ac, L.Ac, recently graduated from the College of Acupuncture at Northwestern Health Sciences University in Bloomington, MN with her Masters in Acupuncture. Internships include University Clinic on campus, Edith Davis Teaching Clinic, Pathways in Minneapolis and University of Minnesota Medical Center Fairview in Minneapolis. Conditions Tabitha has treated include variety of pain (low back, arthritic, knee, thalamic, post-surgery), neuropathy of hands and feet, sleep issues, gynecology issues, mental health including depression and anxiety, common colds and stress reduction. Tabitha has also treated terminally ill, chronically ill and caregivers of the ill. She knows she is not able to cure cancer but is able to make the battle a little less painful, stressful and easier to fight. She has also treated patients with pregnancy complications and helped them feel more comfortable. Wednesdays & Thursdays – 8 a.m. to 4:30 p.m.
To schedule an acupuncture appointment with Tabitha, please call 320-839-6157. As we continue to plan and prepare for the future of healthcare in our region, we are seeing significant and continuing changes in how senior care and services are made available. One of the key factors we face in preparing for the future of senior care is our infrastructure. Northridge Residence was a state of the art facility when it was built; however, it is almost 40 years old. The appearance of the building looks in good shape as it has been cared for over the years. Behind the walls however, many of the building’s infrastructure (heating and cooling systems, plumbing, electrical, roofing, insulation, etc.) are at or past their useful lives so significant repairs and/or replacement needs are upon us. As we looked into the building needs, we also looked at what changes are occurring in our region and at a national level. Expectations of senior care customers are changing, with greater expectations of more amenities and higher quality of care as well as how and where that care is given. The purpose of this survey and the staff/community meetings is to get your input on what needs to be considered if we redesign the Northridge building to meet the expectations and needs of our community for the next 40 years. Birth records are a necessity for every patient. Every hospital is required to complete birth registration form s for every baby born in the facility. The data contained within the forms is collected by Minnesota Department of Health Office of Vital Records and submitted to the National Centers for Disease Control and Prevention. The MDH Office of Vital Records monitors the timeliness and completeness of birth registrations in all Minnesota facilities. Ortonville Area Health Services was notified that the Health Information Management department received the Excellence in Birth Registration Award. The standard the MDH establishes is that all birth registrations are completed in full and submitted within five days of each birth. The medical facilities that fully complete and submit 98 percent of birth registrations within five days of birth receive the Excellence in Birth Registration Award. For the calendar year 2013, 57 of 104 medical facilities that deliver babies in Minnesota were honored with this award. A greater accomplishment is that of the 57 facilities that received the award, only 19 of those facilities submitted 100 percent of birth registrations within the five day time frame. Ortonville Area Health Services is one of the only 19 medical facilities in Minnesota that submitted 100 percent of birth registrations within the five day window. This award highlights the Health Information Management team and the excellence of their work. The primary person at OAHS responsible for birth registrations is Kristen Ohm, and her back-up is Joett Nicholson. This award, and achieving 100 percent of our birth registrations completed in full and submitted on time, highlights the teamwork and dedication of Kristen and Joett. Congratulations! planning for the future project.